So…where do I start… I know this is a cult classic directed by the master of puppetry Jim Henson, but after I was convinced to watch this film to be honest I was just confused. 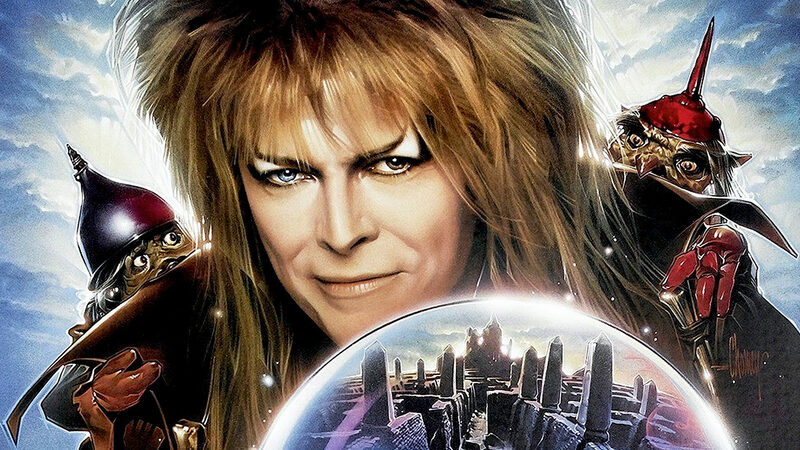 I normally love films like this — odd and fantastical, but loveable in their own way, plus it has David Bowie as the ‘Goblin King’ Jareth who was loved for his quirky and unique ways. This interesting film stars a young Jennifer Connelly as Sarah, a 16-year-old girl who is given 13 hours to solve a labyrinth in order to rescue her baby brother which she originally wished to be taken away by the goblin king. What follows is a lot of randomness, imaginative sets and David Bowie randomly popping up saying odd things. Plus there is a random song he sings with the puppet goblins. Very odd. Nothing in this film really makes sense and maybe if I saw it when I was younger I may have been a fan (I love cheesy films such as The Secret of Nimh), but I just felt like there was no real plot and the acting and script was odd. One thing I did like however was the creative sets. So that was a short rambling more than a review really…But yeah.